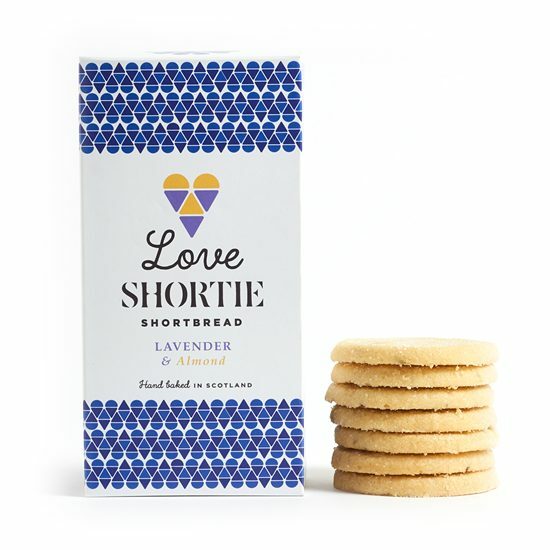 Our all butter shortbread with hand-made lavender sugar and finely ground almonds for a deliciously delicate, fragrant flavour. Each pack contains ten biscuits. Ingredients: Wheat Flour (with Calcium Carbonate, Iron, Niacin, Thiamin), Butter 31% (Milk), Sugar (Flavoured with Lavender Flowers) (16%), Ground Almonds (16%), Fine Sea Salt.